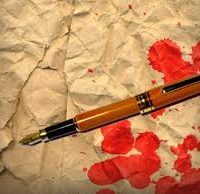 PESHAWAR: About 12 men armed with guns and sticks attacked office of a local Urdu daily and beat up its crime reporter, causing him minor injuries. The incident took place at the office of daily Akhbar-i-Shahar when several attackers managed to enter its office and beat up its crime reporter, Kamran Gul. Mr Gul said there were about a dozen people who were carrying pistols and sticks and they beat him up him black and blue.He said apparently his beating up was related to his police-related reporting. A city police statement said that the police chief had formed a four-member committee to investigate the attack on the reporter.It said SSP operations Javed Iqbal would head the committee and SP city, DSP and SHO Gulbahar would be its members.